A local industry produces approximately 10,000 gallons of thickened biomass sludge daily from the production of corn sweetener. 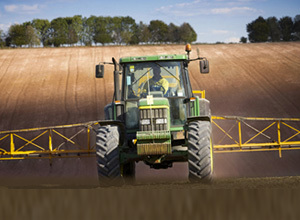 The biomass is applied to agricultural land based on the available nutrients and concentration of metals in the biomass. AE2S was retained to help this client with the execution of their Land Application Management Plan. This included working with applicators to obtain site approval in conjunction with the North Dakota Department of Health (NDDH), gathering National Resources Conservation Services data and soils profiles, establishing setbacks, and determining the application rate based on the nutrients and metals and the nitrogen required by the soil for future crop production. AE2S also ensured that land application procedures were completed according to its Land Application Management Plan. A report was generated annually for the North Dakota Department of Health indicating the application sites, application rates, results from soil analyses, biomass analyses, and any deviations from the management plan.